Rick Limpert is a tech savvy writer, and it shows up in his work. 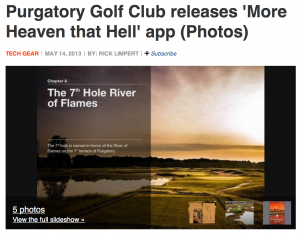 This Examiner.com article includes a slide show, and the post on his site from the PGA Tour Radio show on Sirius radio, channel 93 includes the complete audio from the show. It’s great to have an early adopter like Rick Limpert appreciate our cutting edge iBooks.